Surprisingly, the ‘World’s Highest-Paid Athletes 2018′ compilation is an all-male affair with no women featured in the list. Kohli at 29, is not just cricket-crazy. India’s most prominent name but is also one of the most famous athletes in the world. Boast with more Twitter followers with the 25 million plus than all but three active sports stars. Forbes says. The World’s Highest-Paid Athletes in the year 2018’ list is topped by 41-year-old Mayweather, with the USD 285 million earnings. 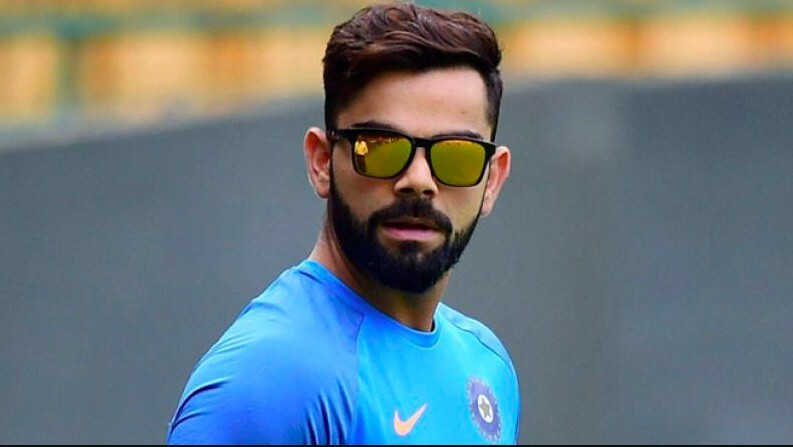 This year the Indian national cricket board ‘The Board of Control for Cricket in India’ has named Virat Kohli as one of just five players to receive the newly-created A+ contracts, which is guarantees with an annual retainer of more than USD 1 million, it says. Like the Indian cricket mega-stars, who have come before him, Kohli’s big payday comes off the pitch, where he is partners with the top brands such as Puma, Pepsi, Audi, and Oakley, Forbes says. Forbes says the tennis’ female sportspersons Li Na, Maria Sharapova and Serena Williams were list regulars but Li retired in the year 2014 and Sharapova is still dealing with the aftermath of a 15-month suspension for using of a banned substance. Serena Williams was the only woman to feature in the top 100 last year, but her prize money dropped from the USD 8 million to USD 62,000 this year after she gave birth to her daughter namely Alexis in September. This year 40 NBA players cut the Forbes’ annual look at the world’s 100 highest-paid athletes, breaking the record of 32 set from the last year. Mayweather is heading the world’s highest-paid athletes for the fourth time in the seven years, thanks to a USD 275 million payday for his August boxing match against the UFC star Conor McGregor. NBA’s top earner LeBron James banked USD 85.5 million, including endorsements, over the last 12 months to the ranking of sixth among the highest-paid athletes. Argentine professional footballer Lionel Messi is ranked second in the list, followed by the soccer player Cristiano Ronaldo. Messi’s annual salary and bonus exceed USD 80 million, from which making him the highest-paid player on the pitch this year. He ranks second overall with the USD 111 million, including USD 27 million through the endorsements that deal with the brands such as Adidas, Gatorade, Pepsi, and Huawei. Ronaldo’s USD 108 million haul over the past 12 months trails only Mayweather and Messi. Other players on the list are American basketball player LeBron James 6th place, Tennis star Roger Federer 7th place, golfer Tiger Woods 16th place, tennis player Rafael Nadal 20th place and golfer Rory McIlroy 26th place. Forbes says it was harder than ever to qualify for the 100 highest-paid athletes, with the cutoff up to USD 1.5 million to USD 22.9 million. The top 100 has earned USD 3.8 billion with a 23 percent jump over last year. Salaries and prize money are up significantly, but endorsement earnings fell for the second straight year to USD 877 million as many companies watching the sports marketing budgets of the players. Top 100 has the international flavor with the athletes from 22 countries, but Americans dominate the action with the 66 cutting thanks to sky-high salaries in baseball, basketball, and football. Those three sports had a combined 72 entries, Forbes added. So, these are the points to describe on the Virat Kohli is among the world’s highest-paid athletes: Forbes.